Nowadays, SMTP is the standard protocol for sending mail and has made the phpmail option obsolete. 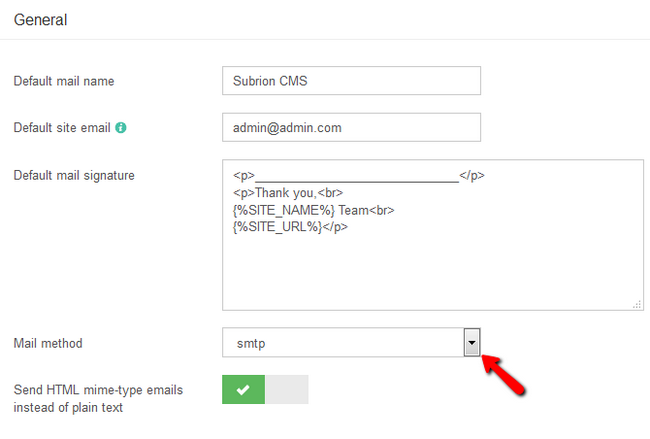 Switching Subrion to SMTP will guarantee the delivery of your emails and will ease your work with customers and users. 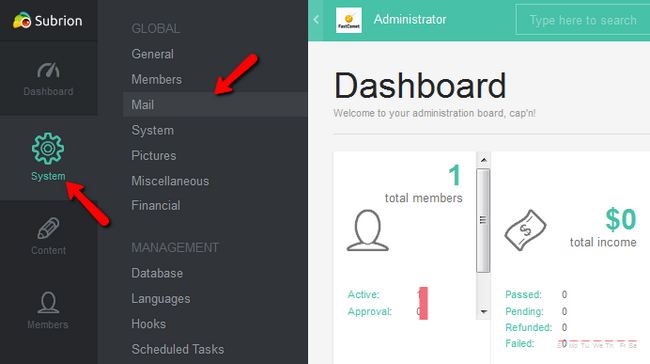 First you will need to login to your admin area and navigate to System>Mail. In the General section you will be able to change your default mail name and email address as well as your signature. The most important thing is the Mail method which you should set to smtp. It is also advisable to send HTML mime type mails instead of plain text ones. 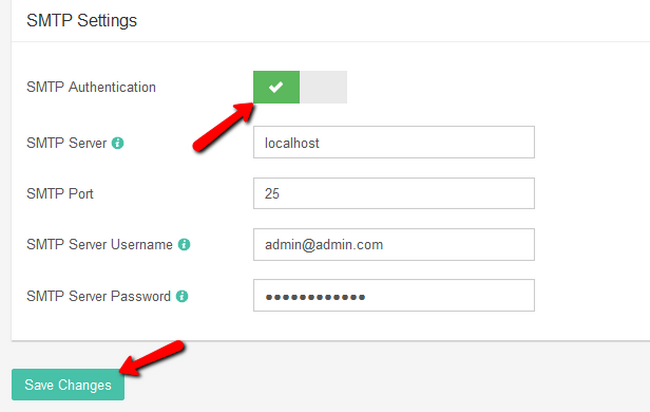 Once you have filled out everything, click on the Save Changes button to apply the new configuration rules.